The all-round tractors from Fendt can be fully utilized throughout the year. 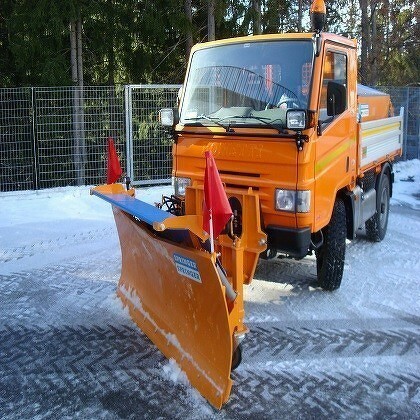 In Winter, they are highly flexible in service with snow plows, self-loading gritteres with disks or snow blowers. 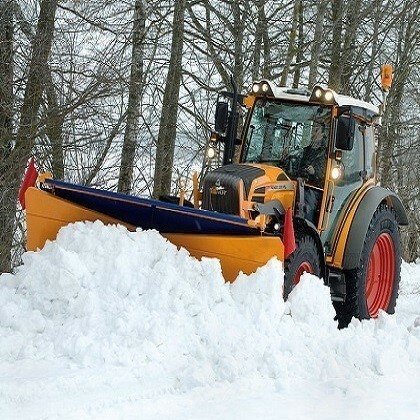 Thanks to the standard push frame, these tractors offer ideal snow clear capability with high stability. The Thorough compact design of the Fendt Vario allows excellent visibility of attachments. "The better you can see, the better you can work"
365 operating days per year: four seasons, one Holder! 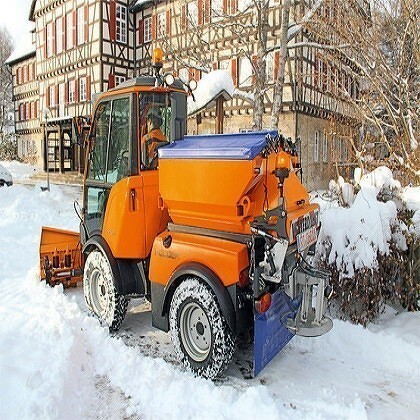 Holder, the strong, compact and maneuverable equipment carrier, carries out two operations in one pass, such as snow clearing and gritting. 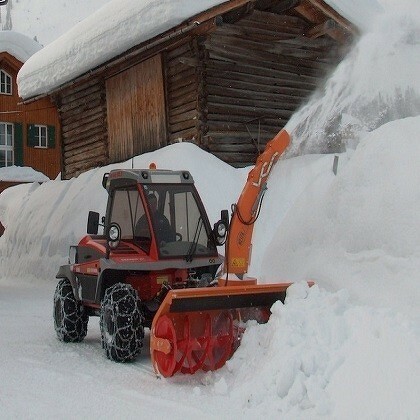 The intelligent load limit control is especially effective with snowblowers. It ensures that the travel speed automatically adapts to the performance decrease on the front attachment. 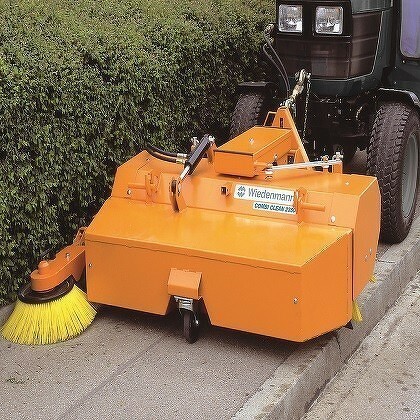 The sweeper with exceptional suction power, makes the Holder fully functional for all year round use. "Holder and its partners - A Journey Around the World"
The power to weight ratio is effective and the uniform weight distribution on the front and rear axles results in better traction on all wheels and especially less ground damage. Selection between front-, four-wheel drive, rear and crab steering can be made with the push of a button. The excellent chassis with independent suspension, the very high payload, reduced fuel consumption, additional power and significantly lower engine noise in the cabin are truly advanced features. 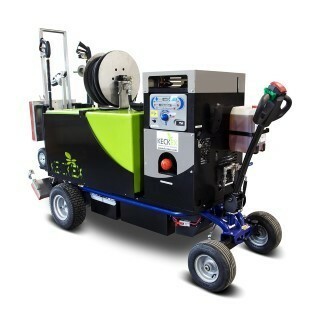 The DULEVO 6000 Sweeper works with a mechanical sweepings recording over a width of 1300mm. With this system, the cleaning of large surfaces with a 2- to 3-fold higher sweeping speed is possible compared with the "suction receiving" machines. The clogging of the recording - as the "sucker" is often the case - is "mechanically receiving" in the sweepers virtually impossible. Even bulky debris such as branches, etc. can be easily absorbed by these machines. The Bonetti F100X 4x4 provides a robust, reliable and technically innovative solution with many advantages for all customers that require a special vehicle with compact size and high performance. The new F100X4x4 is based on the 35 years of experience of the Bonetti Company in the development and manufacture of special, compact size, all-wheel drive vehicles and is is available in 25mph (40 kph) or 50mph (80 kph) versions. "Innovative technology equipment for a naturally cared for environment"
Professional high performance suction device for clearing grass and leaves. High dump, noise-reduced whisper turbine, functional equipped with wear plate in the turbine, anti-rust coating, silicone joints seals. "The right device for each application - all from a single source"
This system works simply and extremely effectively. 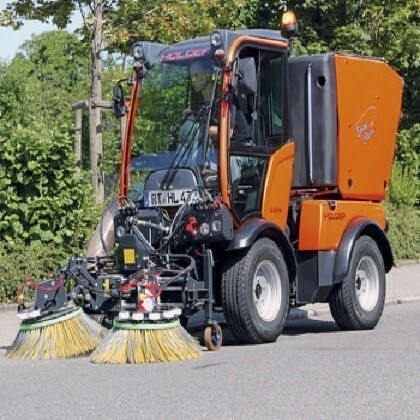 With the adjustable sweeping unit (on the front three-point linkage) and collection container mounted above the motor, the articulated carrier vehicle can be reconfigured as a modern professional sweeper. 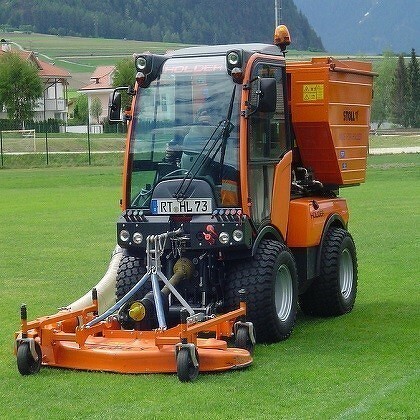 The sweeper-suction combination is characterized by the professional suction fans and the quiet-operating collection container. WESTA snow blowers have matured over decades of continuous innovation into products of the highest efficiency and quality. WESTA mountable snow blowers are two-stage snow blowers. The snow is removed by a low-speed cutter drum, finely crushed and fed through in doses to a high-speed centrifugal ejector wheel. With this design a large throw is achieved with minimum effort. They are supplied as a front or rear mounting with mechanical or hydraulic drive. "Performance and safety on all routes! 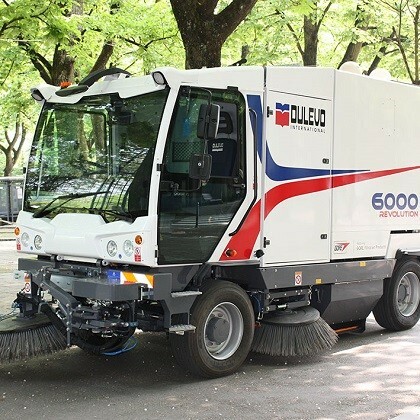 Combined sweeper for front-mounting on two-axle vehicles up to about 26 kW (35 hp). 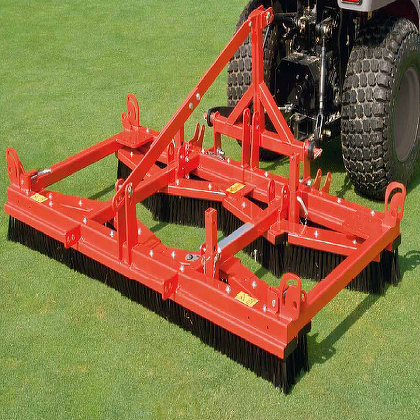 The TERRA BRUSH is optionally available for attachment to the three-point hitch of the tractor or as a fixed design with carriage and drawbar e.g. for tractors without rear hydraulics. Raising of the landing gear can be done either hydraulically or electrically. Through the special zig-zag arrangement of the individual brush strips, a uniform distribution of the backfill material is achieved, thus improving the over running characteristics and reducing the risk of injury. 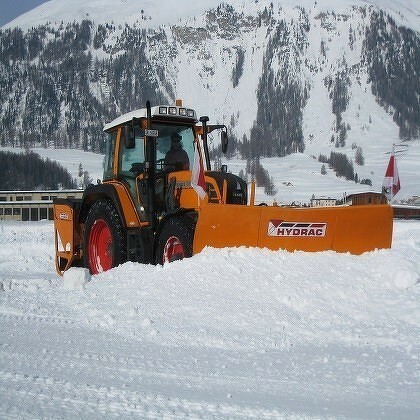 Hydrac snow plows have been fully proven in the most difficult and toughest conditions for years. The sophisticated technology guarantees not only best quality but also enormous operational safety. The blade parts move out of the way on parabolic guides, backwards and upwards, when driving over obstacles. Through this special parabolic movement obstacles up to 20 cm height can cleared! 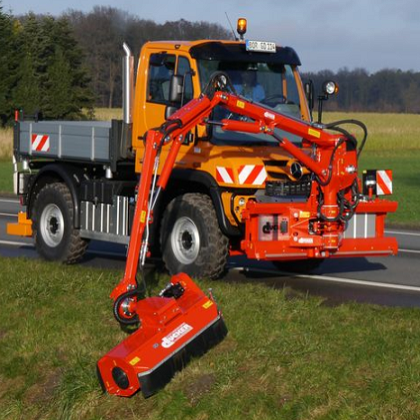 "Suitable for all tractors, Unimogs and trucks"
As a leading manufacturer of mowing machines, Dücker offers, in addition to verge mowers, front outriggers to 7.8 m range, combinations for use of up to 2 mowing systems simultaneously. All booms are equipped with up to 15 different attachments as an all year round system for use in road maintenance: A multiple benefit that is cost effective. The Springer Company, located in Rengersdorf (Austria), has been involved in the development of gritters for over 20 years. 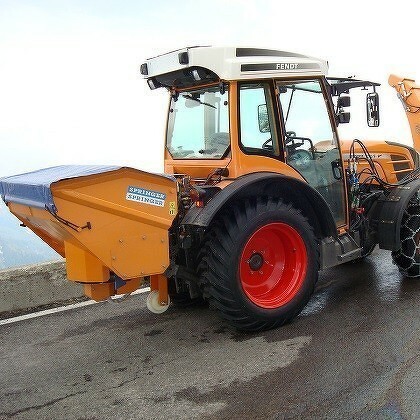 They produce self-loading gritters with rollers or disks from 400 to 1500 liters for tractors and salt gritters for vans, Unimog and trucks. The highly precise application is intended to achieve the greatest range of coverage for the given spreading quantity, while at the same time minimizing unnecessary burden on the environment. Pewag offers the right product for every application. 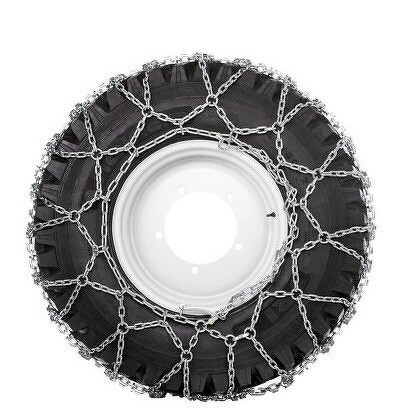 From a keen interest in innovation Pewag has developed snow chains that ensure maximum safety and comfort in all conditions. Even in rough terrain military and rescue teams trust the proven quality of Pewag snow chains.